What can be better than a cup of coffee? A cup of coffee made with freshly ground beans. So, below is my review of several top-rated coffee grinders as well as some important things you should know when shopping for one. Coffee produces oils once it has been ground. And those oils are extremely sensitive to the external factors, especially odors. This means pre-ground coffee absorbs unwanted flavors while lying on a shelf, which can ruin your beverage flavor completely. Coffee is susceptible to oxygen. Once it is ground and in contact with oxygen, it starts revealing its rich flavors and aromas. In only under 20 minutes after being ground, coffee loses more than 50% of its aroma. And this means you get a less flavorful beverage with every new brew if you buy pre-ground beans. Coffee loses Carbon Dioxide after being ground. And because Carbon Dioxide works to retain rich coffee oils and deliver them to your mug, the more you wait after grinding, the less precious oils your beverage has. Coffee oils are susceptible to moisture. So, once the beans are ground, if they contact with a somewhat humid environment, they start losing the precious oils. So, it’s clear now that grinding your beans right before brewing is the only way to get a rich beverage with all its chemical compounds and flavors preserved. Now, you have a couple of options here. If your budget allows for it (and you want to take your coffee brewing routine to the new level), you can buy a coffee machine that has a built-in grinder. Or, if you are saving your budget for something else, you can try grinding your coffee beans using the utensils you already have. But the best option is the simplest one: buy a coffee grinder. When shopping for a coffee grinder, you will come across two types: burr and blade ones. Blade grinders are oftentimes used for spices too, so you’ve probably seen them before. They have a blade in the middle that looks like a propeller. Such grinders chop the beans rather than actually crush and grind them. Burr grinders are a bit more complex. They have two revolving parts (the burrs). The coffee beans go in between those two parts, few beans at a time. They are crushed there, and the level of coarseness depends on the distance between the burrs. But which type of grinder is better? Well, it actually depends on your personal preferences. You see, they have both pros and cons. And it’s up to you to decide which of them will satisfy you. Doesn’t produce heat when working. Doesn’t always guarantee an even grind. prefer brewing methods that involve a coarse grind (because to get a very fine grind with a manual device, you will need quite a lot of time and effort). want to try different brewing methods, including the ones that require a fine grind. The first item on our list of the best hand coffee grinders is this little device by JavaPresse. It has a very good reputation, and there’s a reason for that. This coffee mill is extremely nicely made. Trust me, it will serve for years if you choose to buy it. Freshly ground coffee is better for your health. It contains more antioxidants and vitamins, including B2, B3, and B5. Now, this model has a rather simple yet effective construction. It features ceramic combo burrs and a stainless steel body. It feels sturdy and has some weight to it, which means it is far from flimsy. This manual grinder also has a removable handle. This makes the storage super easy and allows for portability (you can use this grinder when traveling, camping, etc.). The worst thing about this grinder is uneven consistency when it comes to medium and coarse grinds. It might be okay for a manual model but can be a huge issue if you want precision and perfectly even texture of your coffee grounds. The coolest part about this little device is its build quality. The ceramic burrs and the stainless steel body promise to serve you long. Overall, this is a great little grinder. It does have some flaws and requires effort to grind the beans (it’s manual, after all). Still, it has a lot to offer to almost every coffee lover. The next item I want to share with you is this top-rated coffee grinder by Hario. It has a smart, ergonomic construction and can be used for both grinding and coffee storage. Besides, it comes with a non-slip rubber bottom, which contributes to its easy operation. Now, this manual model uses ceramic burrs, which means you get a quality grind and good texture. The burrs are adjustable too, which makes the Hario grinder suitable for different brewing methods. It has an ergonomic shape and conveniently fits your hand, making the grinding process simpler. When it comes to drawbacks, the biggest one is that this particular model is not suitable for large quantities of coffee. It takes too much time to grind the beans (around 5 minutes depending on the user). So, unless you have endless patience, you should use this grinder for 1-2 cups of coffee at a time. As for the advantages, the biggest one this model has to offer is its design. 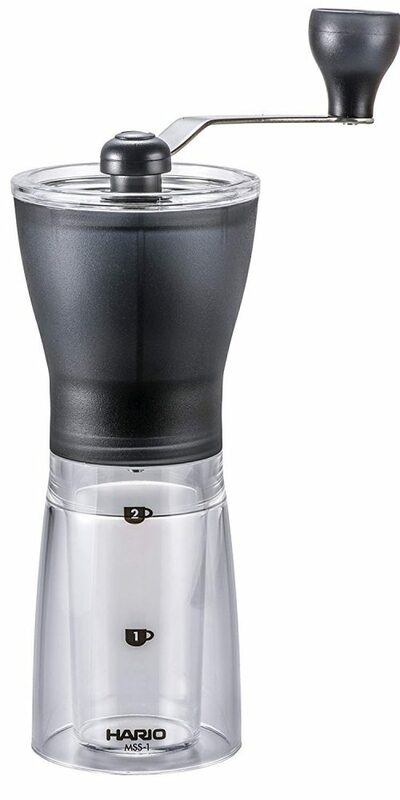 If you appreciate efficiency, this top-rated home coffee grinder will definitely make you happy. It’s a 2-in-1 model, plus it’s super convenient to use. 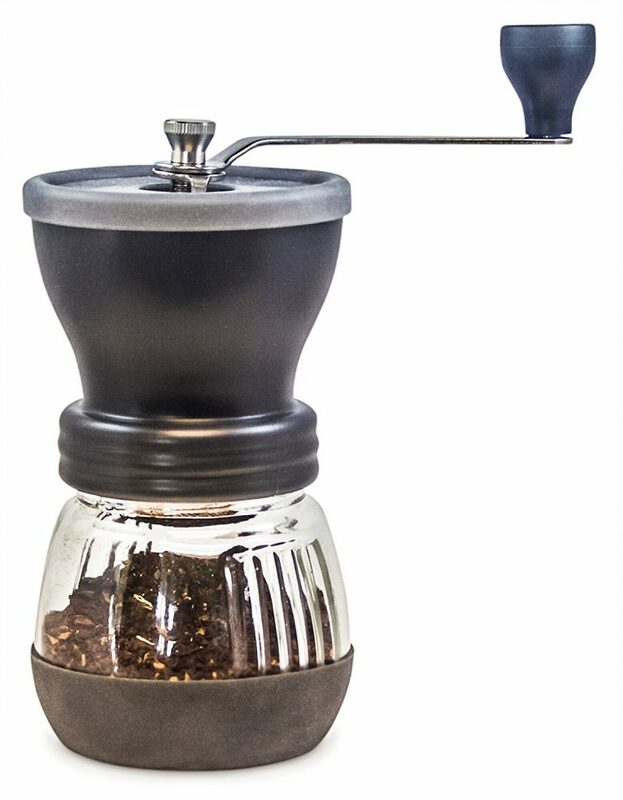 If you don’t drink too much coffee in one sitting, then this grinder would be great for you. It does require some elbow grease, but the results are worth it. Another model by Hario, which by the way is a reputable Japanese company, this coffee mill is very nicely made. It’s a mini version that features a sleek design and does not take up much space in the kitchen. It is perfect for a single serving of fresh coffee. When buying whole bean coffee, you get a ton of advantages. One of them is the freedom to try different grind levels and brewing options. With a home grinder, you can test different textures even for every new cup of coffee. Now, the “Mini-Slim” has ceramic burrs. They do not get too warm when grinding the beans and do not affect the flavor of coffee. Just like in other models, this grinder has a detachable handle. Combined with this device’s small size, it makes it the coolest small coffee grinder you can get for the money. The worst thing about this model is that it shows worse performance with light-roasted beans (which tend to be much harder than darker beans). I mean, it does grind them but requires more time and effort. Plus, it’s hard to get even texture in the end. The biggest benefit of this manual grinder is its compact size. This is a perfect model for everyday use, small spaces, or traveling. It is enough to make 1-2 cups of coffee at a time. Plus, it grinds the beans (darker ones) quite fast. To be honest, I did not expect much from this little grinder. And yet, it managed to impress me. It is great for your daily cup of coffee, but you need to think twice before using lighter-roast beans if it’s worth the effort. The next item on our list has a lot to offer despite its compact size. While being extremely easy to use, this model by KONA offers adjustability. And it even has an extra fine grind setting, which makes it a great coffee grinder for pour-over brewers. Now, it can hold enough coffee for two drinkers (or for a larger pour-over). The bottom chamber is glass, which allows users to see how much coffee they get. It is also rather thick and sturdy. The burrs are ceramic, of course, and have 18 different coarseness settings. What might disappoint you about this grinder is the plastic top part. Quite a large number of KONA coffee grinder reviews note that that plastic part is not very durable. This can be an issue for users who plan to use the grinder every day. The coolest thing about this model is its super fine grind setting. 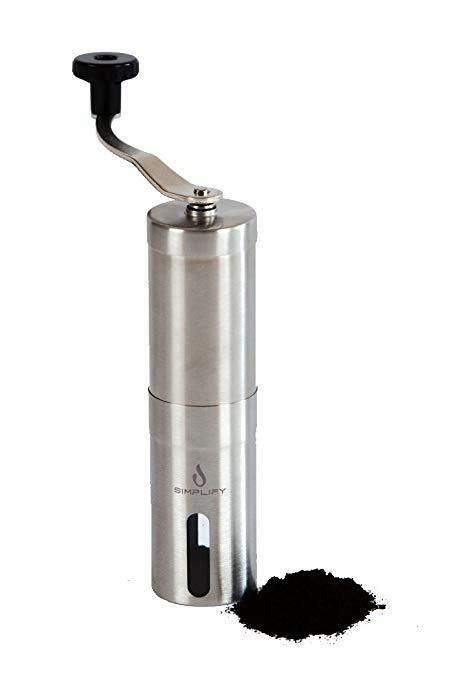 It allows for a smooth and consistent grind, making this little device perfect for pour-over brewers. Despite having some flaws, this manual coffee mill by KONA is definitely worth your attention, especially if you love pour-over coffee. Now, if you need coffee every day (and maybe even multiple times a day), this top-rated coffee grinder by Khaw-Fee would be perfect for you. It has a sturdy construction and can handle regular use. In case something goes wrong, you are protected by a lifetime warranty. This model has conical ceramic burrs, which are adjustable and allow for multiple grind settings. It also features a glass chamber, stainless steel hardware, and a glass hopper covered with rubber. Having some weight to it, this grinder allows for a good grip. It offers smooth operation and reliability. The worst part about this model is the grind adjustments that aren’t very precise. You might have to go through the learning curve in order to understand how to set the needed coarseness. The coolest thing about this little grinder is its sturdy construction and impressive warranty. Such a combo ensures that you will not end up being disappointed in the product’s quality. If there’s something you don’t like, you can get your money back. This manual grinder has a lot to offer, that’s for sure. It is great for someone who needs a sturdy, solid device for every-day use. This model by KRUPS probably has everything you might need (and a bit more). It takes minimal time to grind beans and doesn’t require any effort from you. 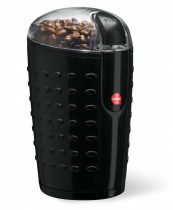 Plus, it uses the built-in scale and dispenses coffee by weight, which makes it a perfect coffee grinder for espressos. Finely ground beans tend to extract faster, which results in a stronger taste and a richer flavor. Often, finer grounds are more acidic too. 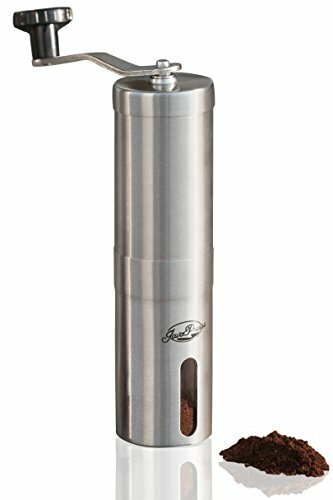 This device has stainless steel conical burrs, which are durable and can handle any type of coffee beans. There are 39 grind sizes available. You can set the machine to dispense the needed quantity of coffee by grams, cups, ounces, or even pick the needed amount manually. Such a great set of features makes this KRUPS grinder versatile and suitable for different users. The biggest flaw of this machine is its design that makes the cleaning process quite complicated. You see, you cannot take it all apart (for instance, the grinding section), so you will have to wipe the parts without a chance to disassemble them. The greatest part about this model is its precise coffee dispersion. It comes in handy when you need exact measurements for a perfect cup of coffee. This grinder uses a scale and can give you exactly as much coffee as you need. If you are looking for something simple and powerful, this model would be perfect for you. Despite some flaws, it does its job very well. 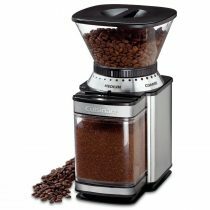 The next item on our list of top-rated coffee grinders is this user-friendly model by Cuisinart. If you noticed, I’ve labeled it as an excellent choice for cold brewing. Why? Because its chamber can hold enough beans for up to 32 cups of coffee, which is just perfect for those hot days when you want to make a large batch of cold brew coffee. Now, this machine has an elegant, sleek design with glass and stainless steel elements. It uses disk burrs that are made of stainless steel too. The grinder allows for 18 coarseness settings and employs a simple one-touch operation, which makes it suitable even for beginner coffee enthusiasts. When it comes to drawbacks, the biggest one must be how messy this machine is. You see, the static in the hopper makes some grounds “pop out” when you open the lid. This means you will have to clean your kitchen surface every time you grind your coffee. Plus, you will waste the precious beans this way. The coolest thing about this model is its ability to grind and hold large amounts of coffee at a time. It is fast and efficient. 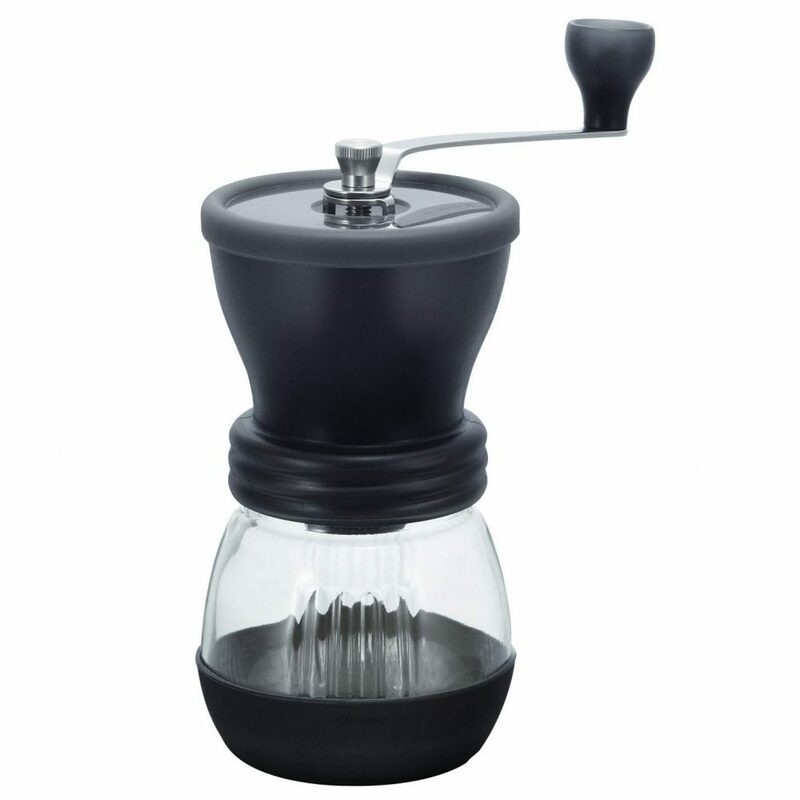 And even more – the coarse grind is always even and perfect for cold brewing. Overall, this is a good, powerful grinder. 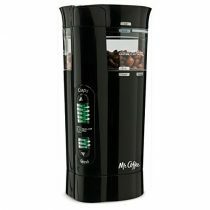 It is perfect for multiple users or when you need to make a large batch of cold brew. Just prepare for some extra clean-up, and you will not be disappointed. Another top coffee grinder according to reviews, this model by Mr. Coffee offers great value for the money. Don’t let its size fool you ‒ it does not take much space in the kitchen but can grind enough coffee for you, your family, guests, or friends. Finer grinds are suitable for drip coffee makers and home espresso machines. 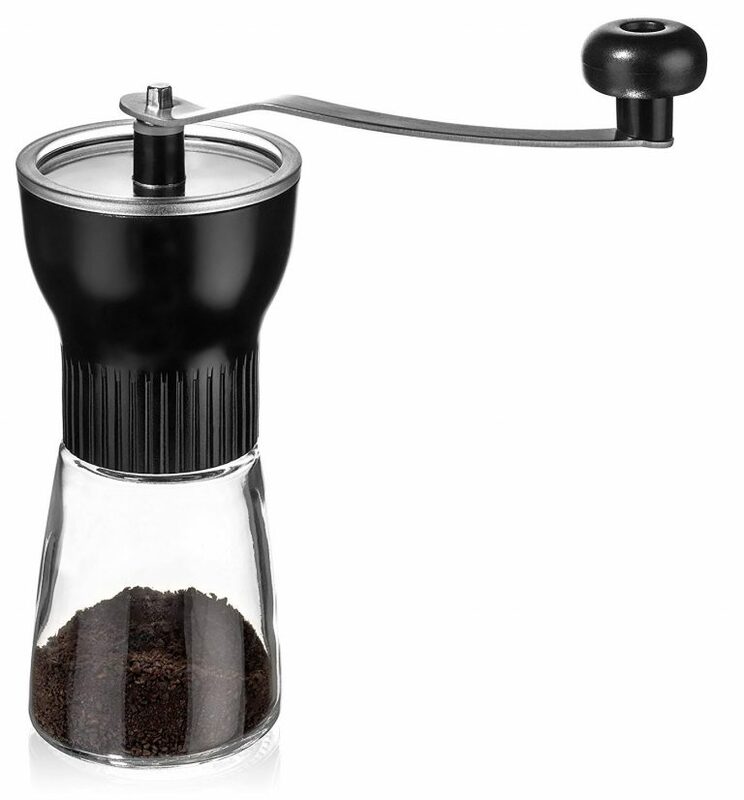 Now, this is a blade coffee grinder, which explains its budget-friendly price. You get just three grind settings ‒ fine, medium, and coarse ‒ so it’s definitely a no-frills option, which is perfect for people who want something small and basic as well as for all coffee novices. The worst thing about this model is that you need to try hard to get an even grind. Some people recommend shaking it, but even then you can’t be sure the consistency will be smooth. This is a common issue for blade grinders, though. What I love the most about this little grinder is its size + capacity combo. Despite being very compact, it can work with the bean quantity enough for up to 12 cups of coffee. So, to brew multiple cups at a time, you don’t need a large, bulky machine in your kitchen. If you are looking for something simple and small, you should definitely consider this grinder by Mr. Coffee. It is powerful and easy to use, which makes it perfect for beginner coffee lovers. 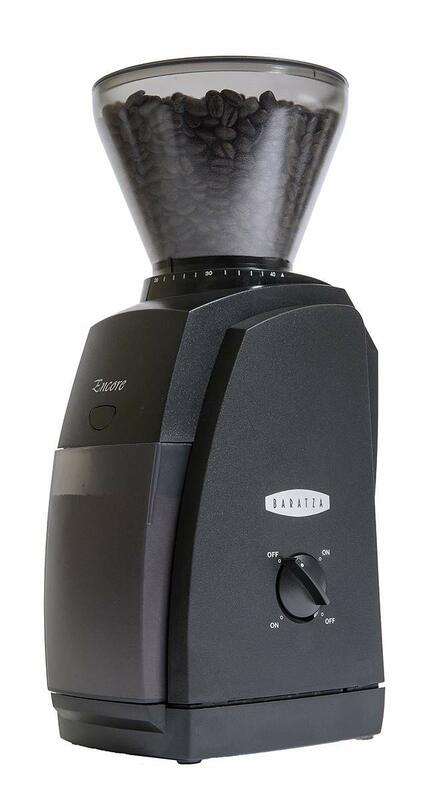 The next item on our list of the top-rated coffee grinders is this entry-level model by Baratza. It has a lot to offer even though it does not look like a super professional machine. The device comes with a great set of features but has a small footprint, which makes it a cool entry-level option for many users. This model uses conical stainless steel burrs. It allows for 40 different coarseness settings, which gives you the freedom to experiment with your beverages and test different brewing methods. With only one switch, the machine is extremely easy to operate, allowing users to grind coffee on demand without making an effort. The biggest drawback of this grinder is that it doesn’t have a super fine setting. Many coffee grinder reviews note that it isn’t suitable for espressos. However, this depends on each user’s personal preferences. My favorite thing about this model is the number of functions it offers and how they all are fit into a relatively compact exterior. This makes it a perfect entry-level model for people who want something more advanced but don’t have enough space for a bulky all-in-one machine. I must admit: I would use this grinder every day even despite some of its flaws. It offers customization and doesn’t require much effort from you. Plus, it looks nice and sleek! If you are looking for a handy device to pair up with your French press, this grinder by Epica would be a great option. Compact and powerful, it grinds the beans to a good coarse consistency, which is ideal for the French press brewing method. Now, this grinder uses stainless steel blades. The grinding cup is also made from stainless steel, which promises durability. Besides, the grinding cup is removable. It eliminates the mess and allows for easy pouring. This model is quite powerful (despite its compact size) and works will all bean types and roasts. When it comes to the flaws, the biggest one is the potential uneven consistency when it comes to finer grinds. This is a common issue for blade models, to be honest. You can fix it by shaking the device when grinding your coffee beans (or by pulsing the power button instead of holding it). The coolest thing about this model is the coarse grind it offers. It’s consistent and perfect for French press. What’s more, you can achieve it in mere seconds thanks to this model’s powerful motor. This little grinder does require you to learn a few tricks to use it right. But it’s really worth it. 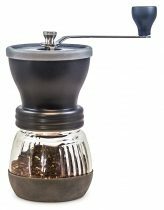 The coarse grind it provides is great for French press and your flavorful cup of coffee. 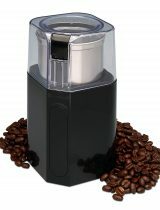 Being among the top-rated cheap coffee grinders, this little gadget has a lot to offer for a ridiculously low price. It is sturdy, compact, and extremely easy to use. This is a perfect option for beginner coffee lovers who don’t want to spend much money. This grinder has ceramic conical burrs. They are adjustable and allow for different grind levels, which makes this model suitable for almost any brewing type. All the parts can be disconnected for easy cleaning. The grinder comes with a handy carrying pouch. The worst thing about this budget manual grinder is the time it takes to work with the beans. You need around 4-5 minutes to grind enough coffee for 1 cup. This can be really frustrating for some users. The absolute best part about this little device is the value for money it offers. Being under $10, it has a sturdy stainless steel construction and good-quality ceramic burrs. This is a great combo for home use. And a real steal for such a price! Despite some flaws, the Go-Go Babyz certainly deserves your attention. Especially if this is your first grinder and you don’t want to spend too much money. The last item on our list is one of the best cheap coffee grinders on the market. It is extremely easy to use, powerful, and affordable. Moreover, it is currently on sale on Amazon, which means you can save even more. This model uses stainless steel blades. It has a see-through lid, so you can control the grind coarseness, and features simple one-button operation, so you can start or stop it with one touch. See? You don’t even have to study the instructions. This is a perfect option for beginner coffee enthusiasts. It allows users to achieve pretty much any grind coarseness and enjoy multiple brewing methods. The biggest drawback of this model is, again, a challenge to get an even texture. Because it has blades, you need to either shake it or pulse the button when grinding if you want nice and smooth grinds. The coolest thing about this coffee grinder is, of course, the combination of its features and price. While it is powerful, nicely made, and easy to use, it is very affordable. To me, that’s a great combo! Overall, this is a great little coffee grinder. It deals with the beans fast and does not require any effort from you. Plus, it offers great value for money. You can tell that the world of coffee accessories is rich and vast. And when it comes to grinders, you have an infinite number of options. I have tried to select the best ones for you and enjoyed reviewing them all. But two of them stood out. Want to know which ones? My favorite manual grinder is the Khaw-Fee HG1B. It is sturdy, easy to use, and reliable. Having a solid construction and conveniently sitting in one’s hand, it perfectly copes with its job – it grinds beans well no matter what coarseness you want to achieve. As for the automatic models (for such lazy bums as me), I would recommend the KRUPS GX420851. With 39 grind sizes, I believe it can work for all possible brewing methods. Plus, it is sturdy and fast. What do you think? 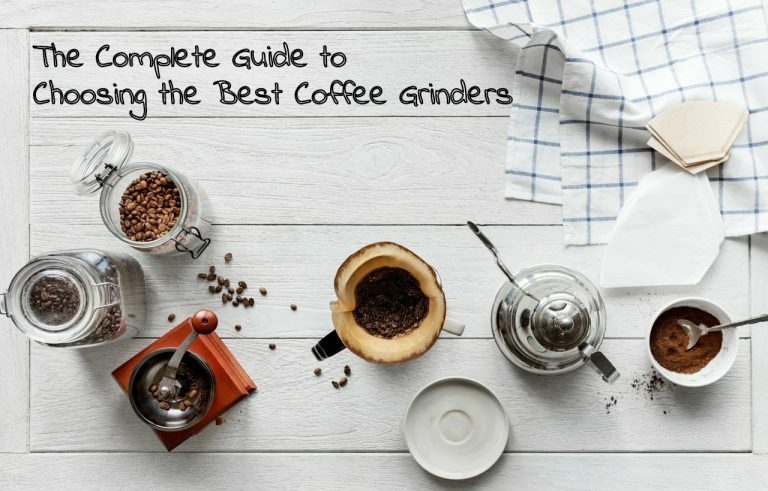 Have you found your favorite grinder on this list? 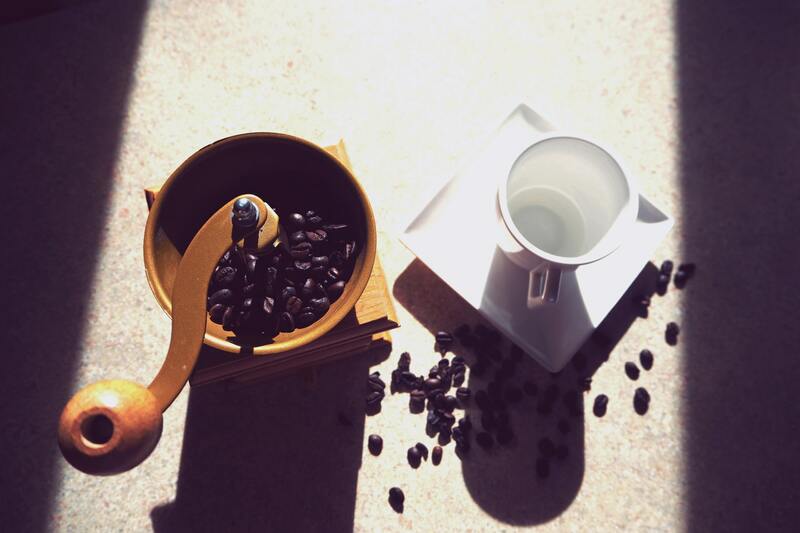 How do you usually grind your coffee beans? You’re welcome to share in the comments below!